Renovations are going on this summer both inside and outside the Lantana Golf Club. The club took delivery of new banquet chairs in May and new carpet was installed in both the Lantana Grill and Banquet Room in June. On the golfing front, a $400,000 renovation and expansion of the practice facility kicked off on June 21st. The first phase of the project, expected to take 3 to 4 weeks, is the expansion of the practice tee box to almost twice its current size. This phase also includes a relocation of the chipping green so that it is closer to the #1 tee. 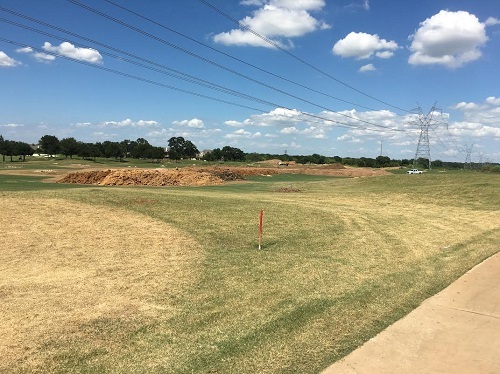 The second phase includes the addition of five new primary target greens on the range, as well as additional targets just off the front of the teeing area to allow members to work on their short game. If everything goes as scheduled, the new practice facility should open by Labor Day Weekend.